Jam, a favorite breakfast spread beloved by so many, is a fairly uncomplicated product, but Crofter’s Food Ltd. is doing its best with this simple fruit spread to make a difference for the planet and the food supply chain. 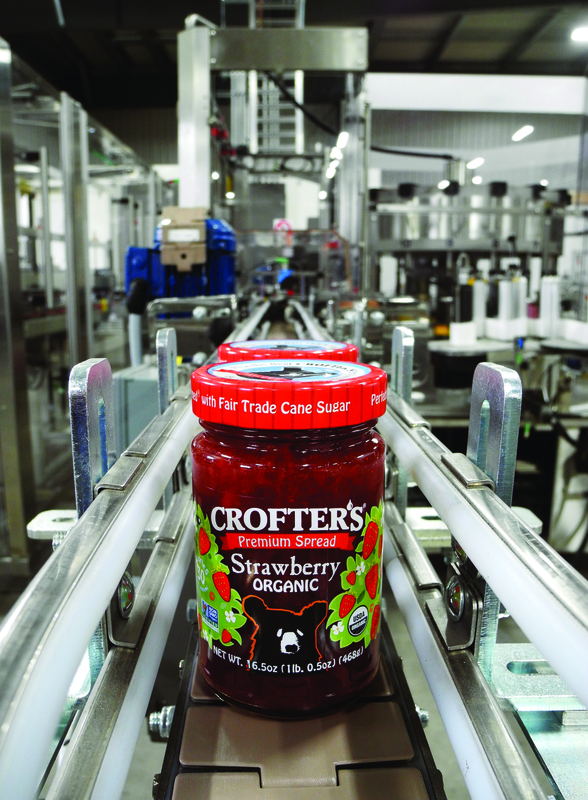 Crofter’s has become one of the largest manufacturers of natural, organic and reduced-sugar fruit spreads and jams. Located in the UNESCO Biosphere Reserve on the shores of the Georgian Bay in Parry Sound, Ontario, Crofter’s makes an array of premium jams and fruit spreads: apricot, wild blueberry, super fruit, mango, raspberry, strawberry, black currant, pomegranate, Concord grape and many more taste-bud-triggering flavors. “We’re the leader in certified organic and non-GMO jams and fruit spreads in North America,” says Gerhard Latka, president of Crofter’s. But Crofter’s is looking to satisfy more than just jam lovers. The company is a leader in product visibility, committed to traceability in raw material sourcing by working with organizations such as the Non-GMO Project, Quality Assurance International for organic certification, and NSF for food safety. Crofter’s in-house quality controls are unparalleled. 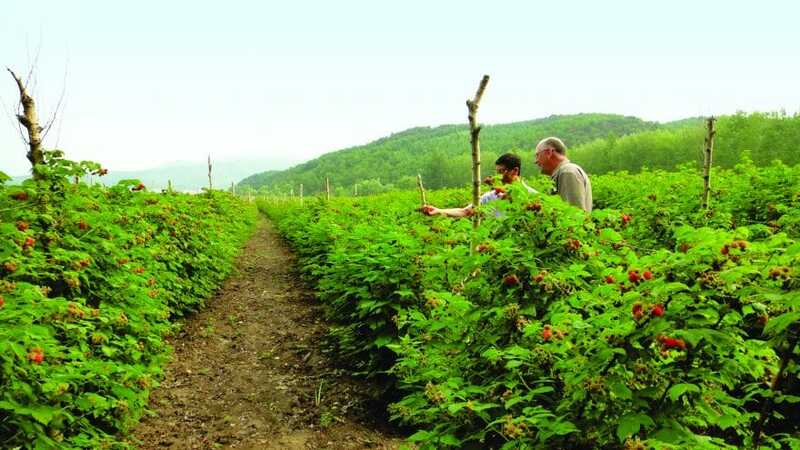 By using the latest technology such as the High Performance Liquid Chromatograph with Dual Mass Spectrometer (HPLC MS/ MS), Crofter’s tests organic raw materials for the absence of more than 450 of the most commonly used pesticides and herbicides down to 0.003 ppm. Food safety audits are also a requirement in today’s marketplace. Crofter’s quality-management system meets the requirements for SQF Level 2 Global Food Safety Initiative. Furthermore, Crofter’s is in the midst of building a brand-new, state-of-the-art 60,000-square-foot plant, which incorporates some of the latest advancements in sustainable manufacturing. “By operating a sustainable business — one that can be sustained environmentally and by workers, consumers and a profitable bottom line, we can impact the world in many small but measureable ways,” explains Latka. When Latka came to Parry Sound, he realized the small northern Ontario town was a great spot to settle and start his organic, sustainable business. “We are in the heart of the 30,000 islands of Georgian Bay, part of Lake Huron,” he says. Among rugged shorelines, tall pines and lakes at every turn, Latka says the natural beauty is undeniable and something that is at the forefront of his mind in his mission to create a product with less environmental footprint than others in the category. Today all of Crofter’s products are certified USDA Organic, Non- GMO Project verified, gluten-free and BPA-free. “Most companies do 20 percent organic and the rest is conventional production — we’re at 100 percent organic output,” notes Latka. The company’s premium spreads, Superfruit spreads and new, lower sugar Just Fruit Spreads all start with top-notch quality ingredients. “We’re very particular about every single ingredient that goes into our fruit products,” says Latka. The organic blueberries that go into Crofter’s blueberry spread are harvested near Lac St. John, just north of Quebec. “We also use heritage fruit varieties like Senga Sengana strawberries, Willamette raspberries and Morello cherries for full flavor profiles that area dark and vibrant in color,” says Latka. The new Superfruit Spread has become a popular product line. Each flavor starts with Morello cherry and red grape that is blended with two super fruits sourced from around the world. Each jar is labeled for the continent of the Superfruit selection: North America, Europe, South America and Asia. Each organic spread is sweetened with fair trade sugar and contains a third less sugar than normal jam. The small jars pack a big punch with more than 1 pound of premium organic fruit and a healthy dose of antioxidants in each jar. “This is the kind of product that makes us one of the most innovative jam companies on the market,” says Latka. Crofter’s continues the push for organic and premium ingredients in the company’s newest phase of expansion. “We’re adding a brand-new production plant which will nearly triple our current capacity” says Latka. Construction of the new plant began more than two years ago in fall 2013 with the roof going up in October 2015 in anticipation of a snowy Ontario winter. “We’re on track for an early 2016 completion and startup date,” reveals Latka. “We’ve had a lot of support from the local and federal governments to move this project along and we’re contributing to the local economy by adding many jobs.” With the plant expansion, Crofter’s will employ 50 people, making it one of the area’s largest employers. From the local level to national retail and global food supply chain, Crofter’s stands out as a leader in a fairly small market. “We’re sort of a big fish in a small pond and jam isn’t a large category or one that’s growing,” explains Latka. People aren’t necessarily eating more jam, but they are looking for healthier, wholesome products with less sugar, organic and traceable ingredients. “The way we’re keeping up with the large national corporations is by putting an emphasis on our 100 percent organic outputs and the fact that we’re doing more good with our products,” says Latka. Whatever fruit fans fancy, Crofter’s Food Ltd. is serving it up in a jar that’s jam packed with reasons to feel good about what’s inside.